Congratulations on an amazing show Mo, it has been such a privilege to observe the work coming into being. It looks so fantastic in the space, visionary, beautifully executed and so poetic. A major achievement, deep bow to you my friend. (((Bronwyn))) and deep bow back to you for all the support, inspiration (you are such a brilliant artist) and driving all the way into town for our Friday arvos to talk about art, life, the universe and everything! Hi, Mo. Just wanted to wish you many congratulations for the Crow Show–such a huge undertaking. Your work is exquisite. (((Els))) it is still such a buzz walking in and seeing all the drawings up at once + enough work has sold to call it a success (can pay Old Man Crow’s credit card off)! WOW, Mo !!! great ! That is fabulous news Mo! Congratulations. And so well deserved. 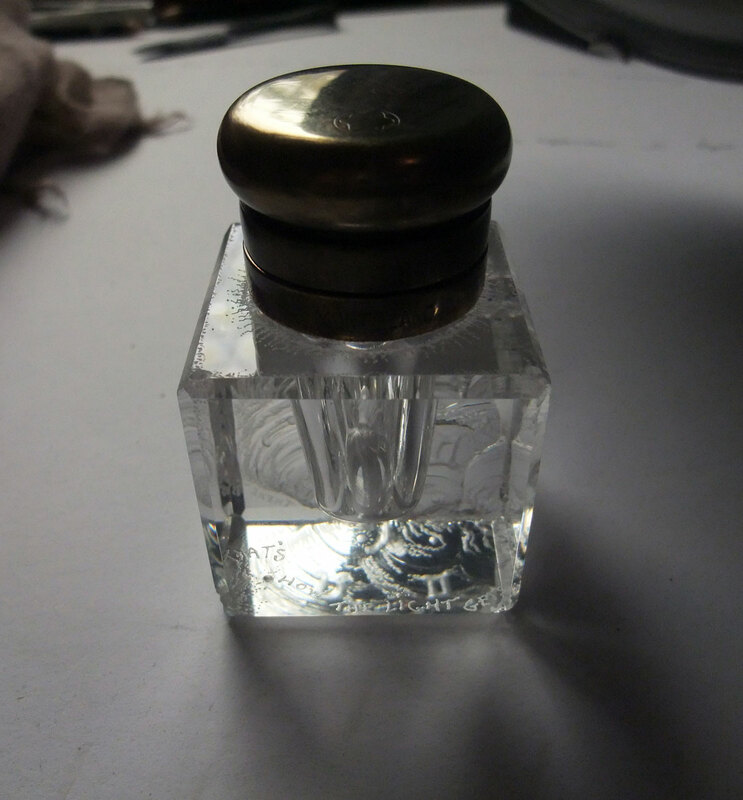 AND that inkwell is glorious. By wip do you mean you are carving it now? the glass engraving skills are not as up to scratch as I had hoped, it’s finished & turned out OK (a repair for one of our gardening customers) but my hands really didn’t enjoy working with water & the glass dust… just as well I have taken up stitching and bookbinding this century!